SoftChalk President, Robert Godwin-Jones, attended the IMS Global EDUPUB2 Workshop on Digital Publishing for Education on February 12-13 2014. This workshop provided news and updates for establishing a globally interoperable, accessible, open ecosystem for e-Textbooks and other Digital Learning Materials via EPUB 3, Educational Sector Standards and the Open Web Platform. This post highlights the key points emphasized during the workshop and SoftChalk’s future plans regarding EPUB 3.
eBooks are of increasing interest in education today. Digital versions of textbooks have become available from virtually every publisher. Individual educators are beginning to think about creating their own eTexts. It used to be that the preferred format was PDF, which allowed for content display on screens or for printing that maintained the original format. However, PDF does not work as well on smaller screens and does not support interactivity. The preferred format for eBooks has become EPUB, a specification managed by the International Digital Publishing Forum (IDPF). 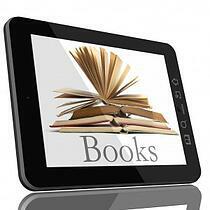 The most current version is EPUB 3. eBooks in EPUB 3 have a number of advantages over PDF and other formats. Text automatically adapts to the format of the screen being used, with pagination created by the e-reader. There is robust support for multiple languages and writing systems (such as vertical writing for Asian languages or left to right page progression for Hebrew or Arabic). Math symbols are supported through Math ML. Although eBooks are clearly of considerable interest in education, there has been recognition that some enhancements would improve their functionality within educational environments. Several groups got together in October, 2013, to create the EDUPUB initiative, to promote the use of EPUB 3 in education and to recommend best practices in their use. Groups represented included major publishers, technology companies, and standards-setting bodies. The group had a second meeting in February, 2014, to finalize recommendations. A number of issues emerged. One of those was the need to enhance the accessibility features already supported in the EPUB 3 standard. Another was to encourage wider use of metadata, to identify the properties of the content, to allow better searching and encourage sharing of content. A major concern that was addressed is the need to agree on a common standard for creation of annotations, which is currently handled differently in various e-readers. A lot of discussion at the workshop dealt with the integration of EPUB 3 into learning management systems and other contexts that are likely in teaching and learning. It would be desirable, for example, to have scored activities within an EPUB be able to be sent to an electronic gradebook. Concrete recommendations from the EDUPUB alliance should be forthcoming in summer, 2014. Given the growing interest in eBooks, SoftChalk will be adding to its authoring options the possibility of saving learning content as an EPUB 3. This will create a single file (with an .EPUB file extension) that can be made available to students in a variety of ways: included as a link in the footer of the lesson, linked within a Web page, uploaded to a course Web site in a learning management system, or linked from SoftChalk Cloud. To make the content compatible with e-readers, there will be changes in how the content is structured and formatted. For example, navigation will be handled by the e-reader and so the navigation normally included when creating SoftChalk content will not be included. The initial version of the EPUB 3 publishing from SoftChalk will be designed to be compatible with Apple’s iBooks app on iPads. For updates on SoftChalk’s upcoming EPUB 3 feature, and for information on becoming a beta tester, visit: softchalk.com/EPUB 3.